Non-contact eddy current sensors from Micro-Epsilon are designed for the detection of displacement, distance, position, oscillation and vibration and are ideally suitable for measurements in harsh industrial environments even when pressure, dirt or temperature fluctuations occur. Their physical eddy current measuring principle allows them to measure through non-conductive materials. This is why the sensors are resistant to media such as plastics, dirt and oil that may be present in the measuring gap. The high bandwidth enables measurement of dynamic processes up to 100kHz. 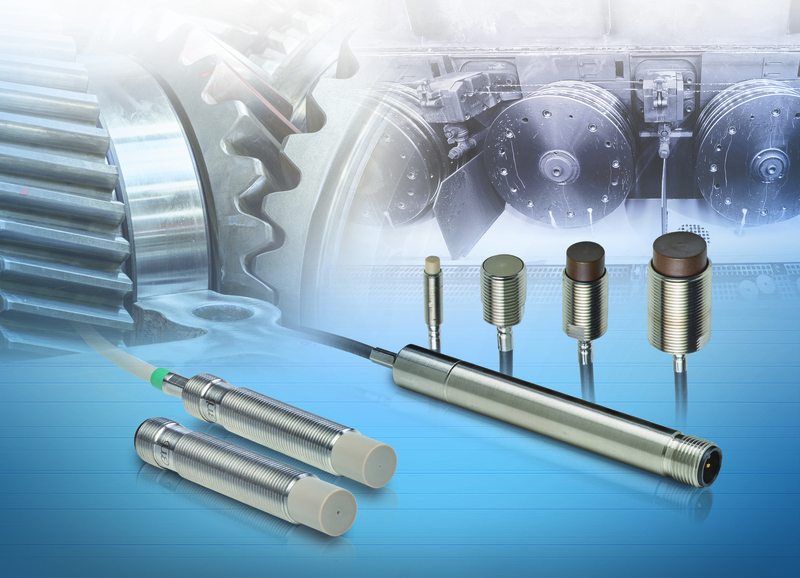 Micro-Epsilon is a pioneer in eddy current displacement measurement. With the new eddyNCDT 3001 and eddyNCDT 3005 series, the company presents new, miniaturized sensor systems that are ideally suited to machine integration and OEM applications. The compact eddyNCDT 3001 eddy current sensors are housed in an M12 body. The sensors of this series are for example used for the monitoring of the oil gap in hydrostatic bearings. As the sensor is resistant to oil and water splash, as well as high temperatures, in combination with its compact design, these sensors are ideal for integration into restricted installation space. The eddyNCDT 3005 model is a compact, robust sensor system that is also temperature-compensated. Even with high temperatures or temperature fluctuations from -30°C to 180°C prevalent in the production environment, these sensors achieve extraordinary measurement accuracy, despite the fact that temperature is an essential factor that influences measurement results. Controller, cable and sensor are pressure-resistant up to 10 bar. Compact, robust sensor designs and high measurement accuracy, combined with a particularly favorable price/performance ratio, make these sensors suitable for high volume applications and for integration into plant, equipment and machinery. Application examples are often found where the standard versions of the sensors and the controller are performing at their limits. For these special tasks, the measuring systems can exclusively be modified according to the customer’s requirements. Both the eddyNCDT 3001 and 3005 series offer a platform for customer-specific variants. Changes requested include, for example, modified designs, target calibration, mounting options, individual cable lengths and modified measuring ranges.